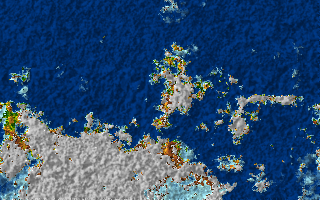 This is a web interface for Torben Æ. Mogensen's planet generator. Torben offers downloads of the generator for offline use as well as his own web interface which is likely of better quality. The output is converted to a PNG via pnmtopng, and then base64 encoded by John Walker's base64 utility. Originaly, there were problems getting Internet Explorer read the embedded inline PNG, but I've not checked recently with newer versions. It should work with Firefox, at least. This page is compliant with the W3C Transitional HTML 4.0 definition except for the inline image when its size is over 65535 base 64 characters and/or it contains base 64 characters that are illegal SGML characters. and was last modified August 25, 2015 14:06.